The Red Stars topped the Courage for the second time in a week as North Carolina beat Chicago 3-2 on Saturday afternoon in front of 2,618 fans at Toyota Park in Bridgeview, Illinois. Midfielder Danielle Colaprico put the Red Stars on the board first, with a goal in the 27th minute off an assist from Vanessa DiBernardo. Courage defender Abby Erceg leveled the score for the visitors in stoppage time at the end of the first half, heading home a corner kick from midfielder Sam Mewis. Chicago scored two goals in five minutes in the second half to make it 3-1. Midfielder Alyssa Mautz scored in the 54th minute, heading a high, looping pass into the box from forward Christen Press past Courage goalkeeper Sabrina D’Angelo. DiBernardo followed up with a goal of her own in the 59th minute. Courage midfielder Debinha pulled North Carolina to within one, scoring directly off a free kick, bending it perfectly into the upper 90 to beat Red Stars goalkeeper Alyssa Naeher from 25 yards out. Match ends, Chicago Red Stars 3, North Carolina Courage 2. Second Half ends, Chicago Red Stars 3, North Carolina Courage 2. Substitution, Chicago Red Stars. Morgan Proffitt replaces Vanessa Di Bernardo. Goal! Chicago Red Stars 3, North Carolina Courage 2. Debinha (North Carolina Courage) from a free kick with a right footed shot to the top right corner. Hand ball by Sofia Huerta (Chicago Red Stars). Corner, North Carolina Courage. Conceded by Alyssa Mautz. Substitution, North Carolina Courage. Kristen Hamilton replaces Makenzy Doniak. Offside, Chicago Red Stars. Sofia Huerta tries a through ball, but Julie Ertz is caught offside. Goal! Chicago Red Stars 3, North Carolina Courage 1. Vanessa Di Bernardo (Chicago Red Stars) left footed shot from the centre of the box to the top left corner. Attempt blocked. Julie Ertz (Chicago Red Stars) left footed shot from outside the box is blocked. Danielle Colaprico (Chicago Red Stars). Jessica McDonald (North Carolina Courage) wins a free kick on the right wing. Attempt saved. McCall Zerboni (North Carolina Courage) right footed shot from the centre of the box is saved in the bottom left corner. Goal! Chicago Red Stars 2, North Carolina Courage 1. Alyssa Mautz (Chicago Red Stars) header from the centre of the box to the top left corner. Assisted by Christen Press following a corner. Attempt missed. Jessica McDonald (North Carolina Courage) header from the centre of the box misses to the left. Assisted by Abby Dahlkemper with a cross following a corner. Substitution, Chicago Red Stars. Taylor Comeau replaces Arin Gilliland. Second Half begins Chicago Red Stars 1, North Carolina Courage 1. Substitution, North Carolina Courage. Jessica McDonald replaces Samantha Witteman. First Half ends, Chicago Red Stars 1, North Carolina Courage 1. Goal! Chicago Red Stars 1, North Carolina Courage 1. Abby Erceg (North Carolina Courage) header from the centre of the box to the high centre of the goal. Assisted by Samantha Mewis with a cross following a corner. Foul by Makenzy Doniak (North Carolina Courage). Substitution, North Carolina Courage. Debinha replaces Yuri Kawamura because of an injury. Delay in match Yuri Kawamura (North Carolina Courage) because of an injury. Goal! Chicago Red Stars 1, North Carolina Courage 0. Danielle Colaprico (Chicago Red Stars) left footed shot from the centre of the box to the bottom right corner. Assisted by Vanessa Di Bernardo. Attempt saved. Alyssa Mautz (Chicago Red Stars) header from the centre of the box is saved in the bottom right corner. Assisted by Danielle Colaprico. Attempt missed. 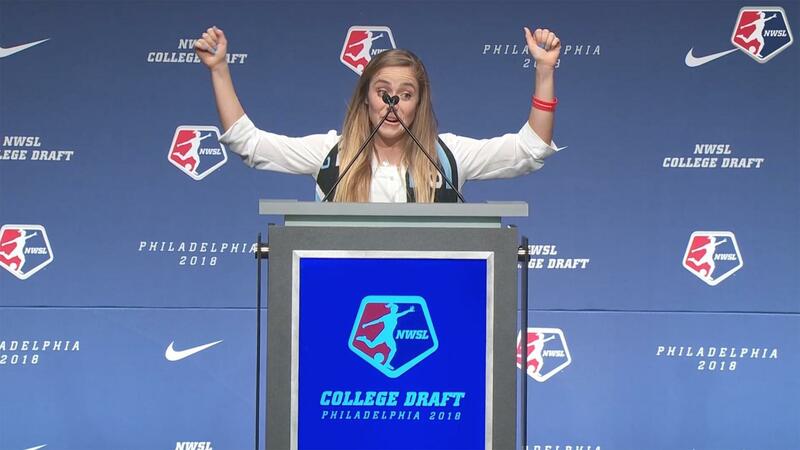 Samantha Mewis (North Carolina Courage) right footed shot from outside the box is just a bit too high. Assisted by Jaelene Hinkle. Attempt saved. Lynn Williams (North Carolina Courage) right footed shot from the right side of the box is saved in the centre of the goal. Assisted by Taylor Smith with a headed pass. Attempt missed. Vanessa Di Bernardo (Chicago Red Stars) left footed shot from outside the box is high and wide to the left. Assisted by Christen Press. Attempt missed. Lynn Williams (North Carolina Courage) right footed shot from the centre of the box is close, but misses to the right. Attempt missed. Christen Press (Chicago Red Stars) right footed shot from outside the box is high and wide to the right. Attempt missed. 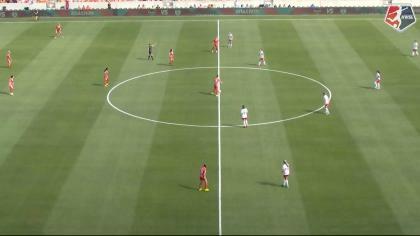 Christen Press (Chicago Red Stars) right footed shot from the right side of the box is just a bit too high. Assisted by Julie Ertz with a through ball.